For its fourth participation in Rétromobile, the Compiègne National Car Museum will have two exhibitions. The first will pay tribute to one of the major manufacturers whose vehicles are part of its collection – de Dion-Bouton, while the second will showcase the Lamborghini Flying Star II which debuted at the 1966 Turin Auto Show. This model is part of the museum’s new exhibition of concept cars: “Concept car. Pure beauty”. Every year, the Compiègne National Car Museum showcases a particular manufacturer at the Rétromobile show. For 2019, one of the Museum’s biggest donors of the 1930s will be in the spotlight: Albert de Dion. The Marquis Albert de Dion was a pioneer of the automotive industry. In 1882, he became interested in steam and partnered with Georges Bouton and Charles Trépardoux to finance his research. They set up their workshop in Puteaux where they built steam-powered tricycles and quadricycles, followed by heavier vehicles, such as the steam Break on which Michelin tested the resistance of its tyres. One notable vehicle on display at Rétromobile is the steam-powered Big Cart, designed in around 1890. In 1888, the Marquis de Dion was pushing steam-powered cars to their very limits. So he teamed up with Parisian engineer Delalande and started experimenting with combustion engines; then a few years later in 1894 he founded De Dion-Bouton & Cie. 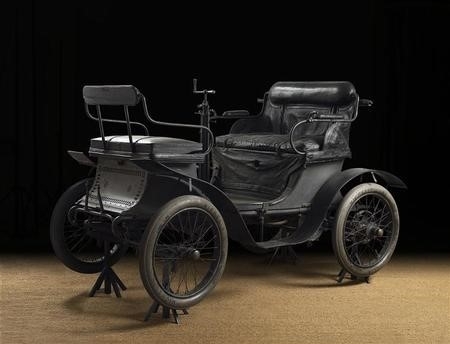 Thanks to the runaway success of his tricycles and single-cylinder vehicles, de Dion-Bouton became the world’s leading automobile manufacturer in 1900. 1899 saw the birth of De Dion-Bouton’s first petrol-driven motorette. The patent for this three-seater D type vis-à-vis was filed on 14 June 1899. Powered by a 3.5 to 8 hp single-cylinder water-cooled engine, its electric ignition system incorporated a battery, a coil and spark plugs. The motorette had two speeds and reverse. Ten versions of it were built over a three-year period. This vehicle, with bodywork designed by Rheims and Auscher, will be on display at Rétromobile. In 1905, de Dion-Bouton released the three-quarter drive coupé. Although the model on show at this year’s Rétromobile was modified in 1907, it tells us a great deal about the manufacturer’s attempts to make its cars faster and lighter. Indeed, in 1904 de Dion-Bouton built a four-cylinder engine that he started using with cars that featured embossed sheet metal chassis and disc clutches. This vehicle’s bodywork, designed by Keller, is a hark back to horse-drawn cars – as are the passenger section interior and the spring suspension system. The one belonging to the Museum which will be on show at Rétromobile was the one used by the company’s management. The exhibition will also include numerous documents and posters, as well as working de Dion-Bouton cars in dynamic demonstrations given by the Teuf-Teuf Veteran car club. The “Concept car. Pure beauty” exhibition all about unusual concept cars will take place from November 29th 2019 at the Compiègne National Car Museum and will run until March 23th 2020. All the main manufacturers, designers and master coachbuilders have tried their hands at building such vehicles or “dream cars”. The Lamborghini Flying Star II which will be at the Museum’s stand at this year’s Rétromobile is a unique model. This angular-looking car kicked off the fashion for “shooting station-wagons” and had a rear hatchback design. This would be the last vehicle to come out of the prestigious Milan-based Carrozzeria Touring Superleggera company before it folded in 1966. 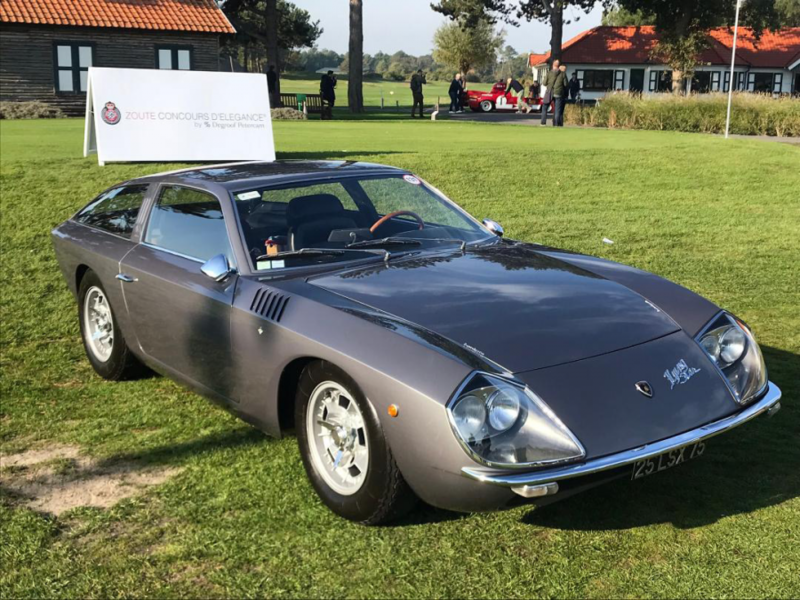 Kept in its original condition, it is the archetype of the Italian concept car and is certainly one of the finest vehicles from the 1960s, combining elegance, performance and comfort. During winter holidays, visit the National Museum of the car at a preferential rate! Upon presentation of the entrance ticket to the Rétromobile show, enjoy a discounted entry.